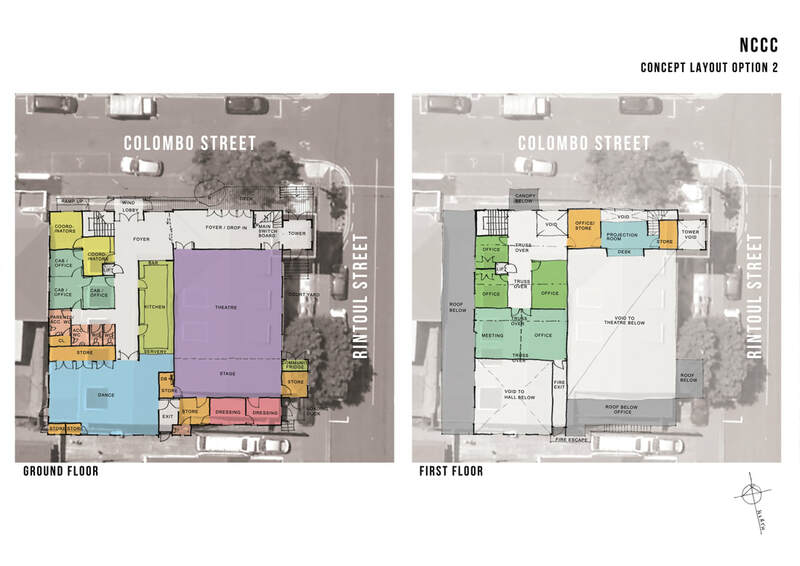 The Wellington City Council (WCC) has allocated $3.4 million to upgrade WCC owned, Newtown Community Centre run community facilities in Newtown. 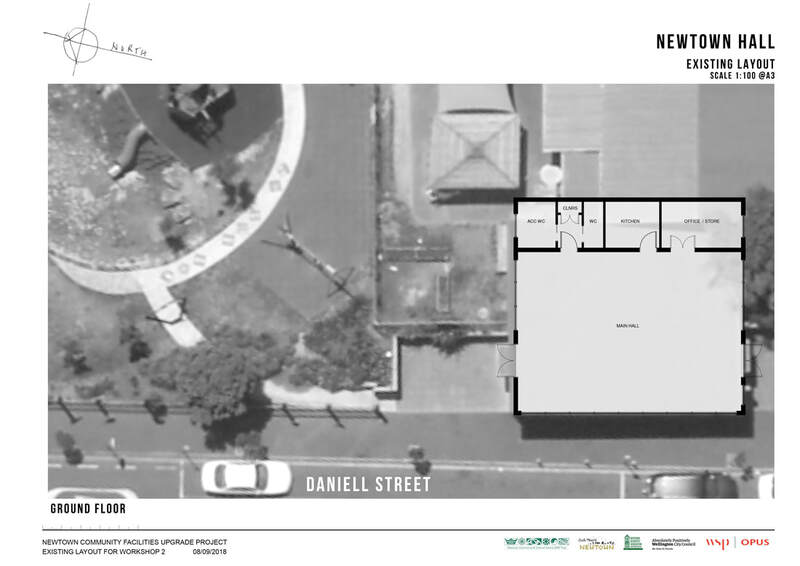 These facilities are the Newtown Community & Cultural Centre, Network Newtown and Newtown Hall on Daniell Street. The Newtown Residents Association, the Newtown Community Centre and the Wellington City Council are working together to ensure the people of Newtown are at the centre of deciding what these community facilities may look like. Over the last few years lot of work has been put into seeking out your opinions, ideas and dreams for a community facility upgrade for Newtown. 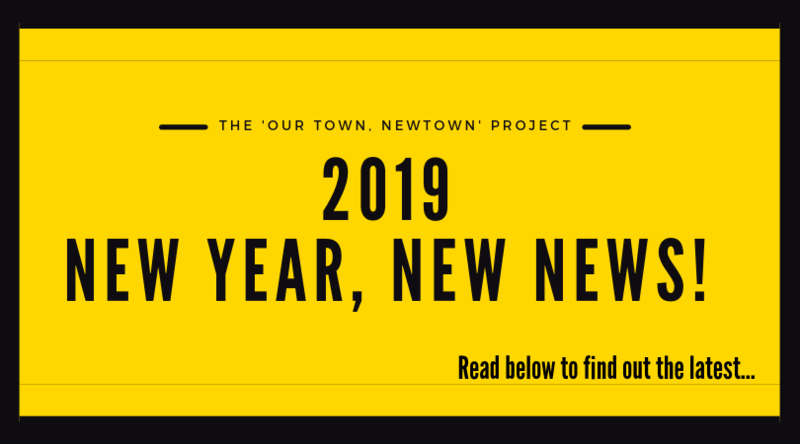 Watch the video or read the report below to hear more about what we did to hear your voices, and what the Newtown community thought we should spend the money on! This page will be kept up to date with the latest news on the project, so keep an eye on it. Newtown Community Facilities are getting an upgrade! 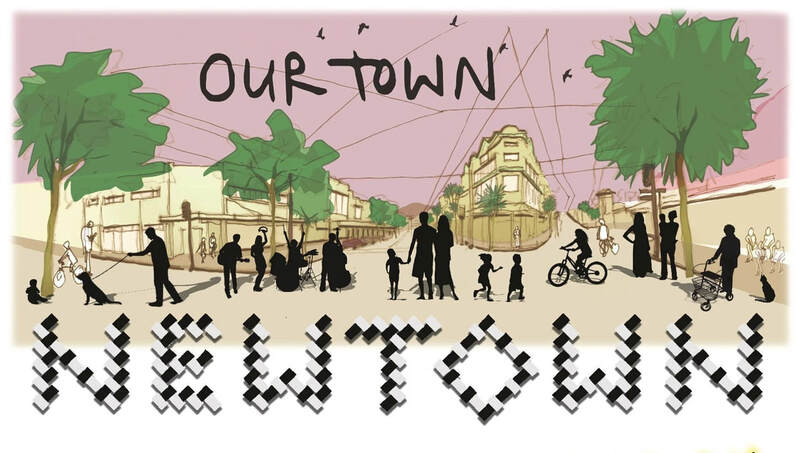 The ‘Our Town, Newtown’ team (made up of a Steering Committee and the WSP OPUS Architects) have had a bit of a holiday, but are now back at work, continuing the project to upgrade the community facilities (to the tune of $2.7mill)! We have done heaps of consultation which has informed the plans, to make the new facilities work for the whole Newtown Community. The toilets were originally placed opposite the kitchen. Upon receiving feedback from a te ao Māori perspective, we’ve put in a door in between the hallway and the entrance to the toilets, we’ve been assured this aligns more to tikanga. The Newtown Community and Cultural Centre received a Waste Minimisation grant (Thank you Wellington City Council!) to operate a “Community Fridge”, and had been searching for a suitable location to install it. Rather than create a temporary home for this project, the fridge has now been built into the plans. It will be housed inside a cubby with access from the outside of the building via an external door. In some early drawings there was a proposed extension to Newtown Hall. 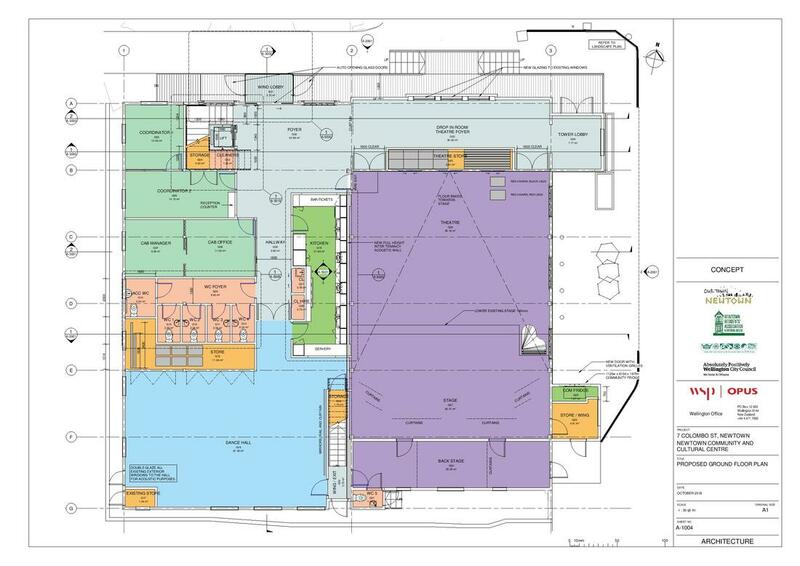 Due to feedback from the community this has since be pared back, and now the work at Newtown Hall will feature internal upgrades and a covered entry. This means the existing park and early learning centre outdoor premises have no changes. 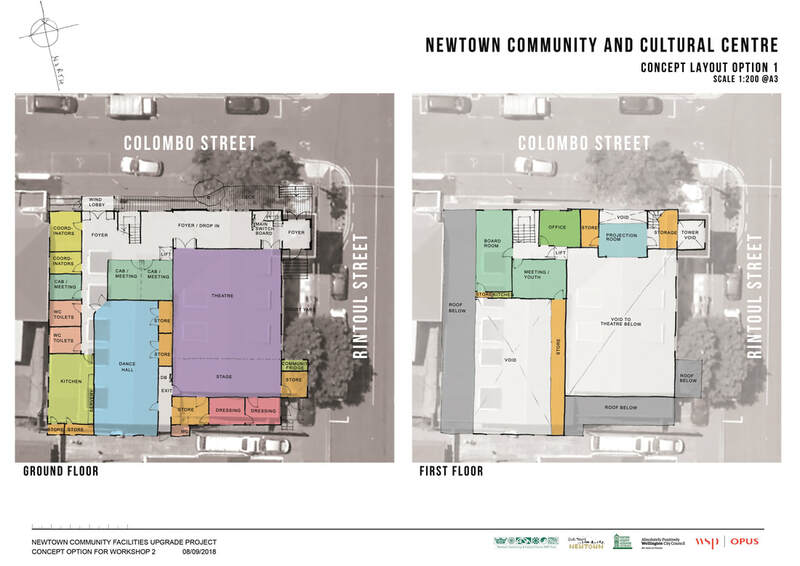 It also allows more of the budget to be allocated to the main Newtown Community and Cultural Centre (NCCC) (Colombo/Rintoul) site which was identified in the consultation as the priority site. Network Newtown and the SMART Newtown sites will receive accessibility upgrades so that more people can access these premises. An existing storage building next door to SMART Newtown has been negotiated to be gifted to the community for use as for the Tool Library. 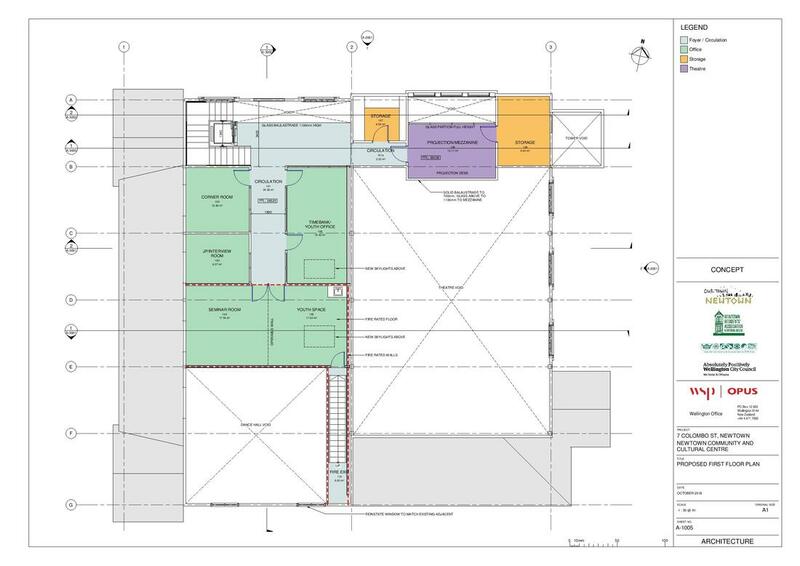 This is a fantastic win for the project as it allows our Tool Library to be re-accommodated in a cost effective manner without building new space, represents a brilliant repurposing of a underutilised existing building, and will free up more of the budget for NCCC main site. We formed a “theatre working group” to ensure we we get the theatre upgrade right. This group consists of users of the space (thespians/actors, theatre and production companies, musicians), professional sound technicians, a theatre specialist and an acoustics specialist. What we have now are some awesome designs that we feel strongly reflect the community’s wants and needs (including those that currently use our spaces and those that would like to in the future). These should be ready to share with you in early April. 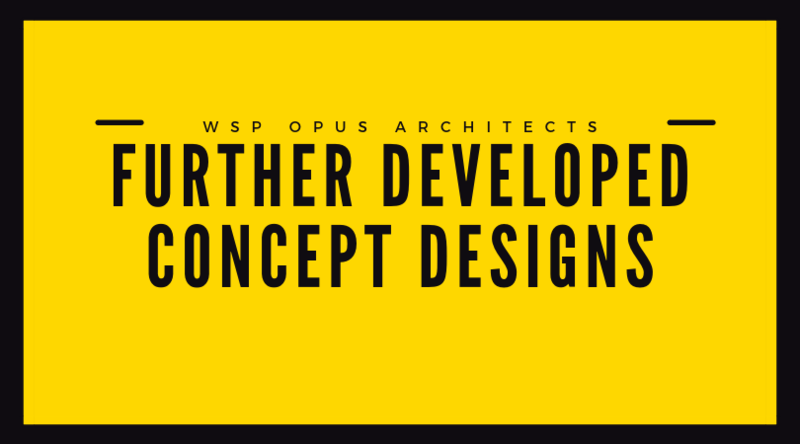 Our architect team from WSP OPUS are hard at work adding more details to these plans, figuring out how much it is all going to cost, how long it might take and engaging with other professionals to find out vital information. Current estimates put the timeline for building (at our main premise - Corner Rintoul and Colombo Streets) to begin at the start of 2020. This means we'll close down in December of this year and won't reopen until we have an awesome new space (in approximately 1 year). 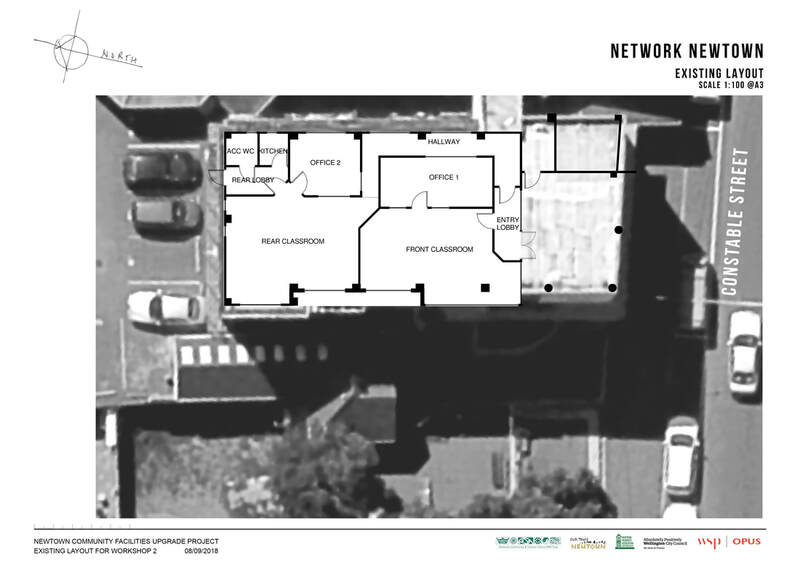 Building works for our other two venues; Network Newtown and Newtown Hall (on Daniell Street) are much more minor, and these could start in late 2019. We’ll update you as soon as we have more information. We invite you take a look at the most recent plans, and get excited about these future changes! We now have some further developed Concept Designs for you to check out! These designs have incorporated the feedback received from users and we have decided to focus on an option at the Newtown Community Centre where we feel the needs of the community will be best reflected. This option will eat up the lion's share of the budget and in fact we will need to do some juggling and prioritising of features both within the NCCC & across the three sites. At the community workshop on Saturday 27th September we presented the further developed designs, but if you couldn't make the workshop, you can view the designs by downloading the pdfs below. 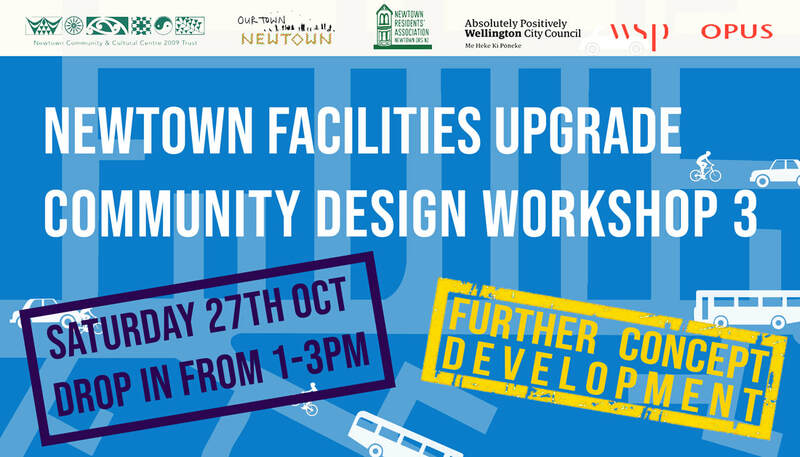 This workshop will present further developed concept designs for the three buildings, Newtown Community & Cultural Centre, Network Newtown & Newtown Hall. We've been blown away at the feedback so far and have further developed the Concept Design options in response. Come along and check out the options, add your thoughts and make sure the proposed design layouts will work for you! 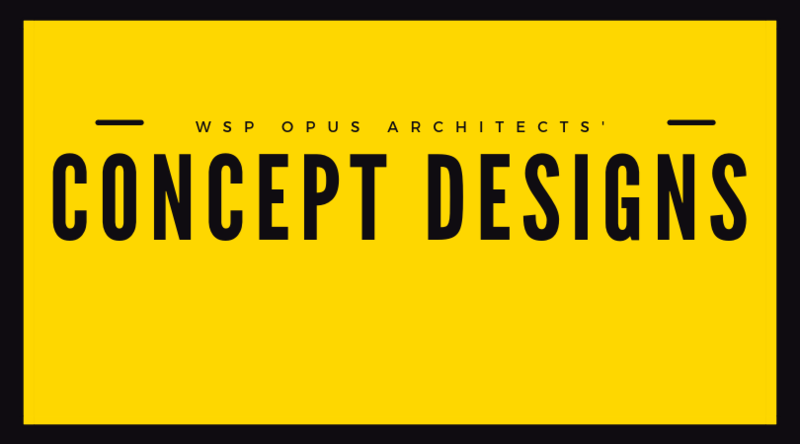 The WSP Opus Concept Designs are out! 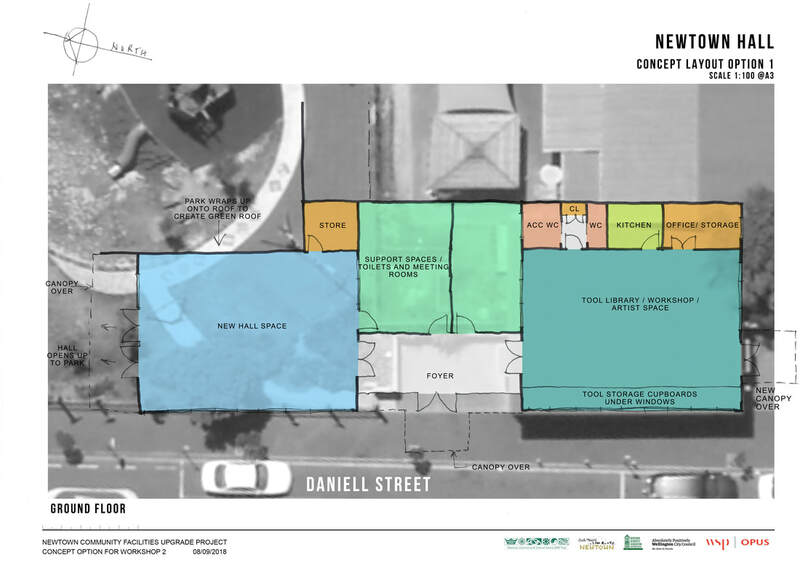 They've taken your feedback from the last year and a half of consultation processes and put together some ideas we hope you'll like for upgrades to the Newtown Community Centre, Network Newtown & Newtown Hall. Please be aware that these concept designs are yet to be costed, so don't get your hopes up that we can get these fancy upgrades in all three sites. We had a workshop on Saturday 8th September to present the ideas, but if you didn't get a chance to make it, you can view the designs below or download them from this drop box folder. Nothing is set in stone yet (but it will be soon), so if you'd like to let us know your thoughts, please send them in! You can email renee@newtowncommunity.org.nz. Please do this by 5pm on Monday 8th October to allow the architects to incorporate your feedback. CONCEPT DESIGNS! COME AND CHECK THEM OUT! 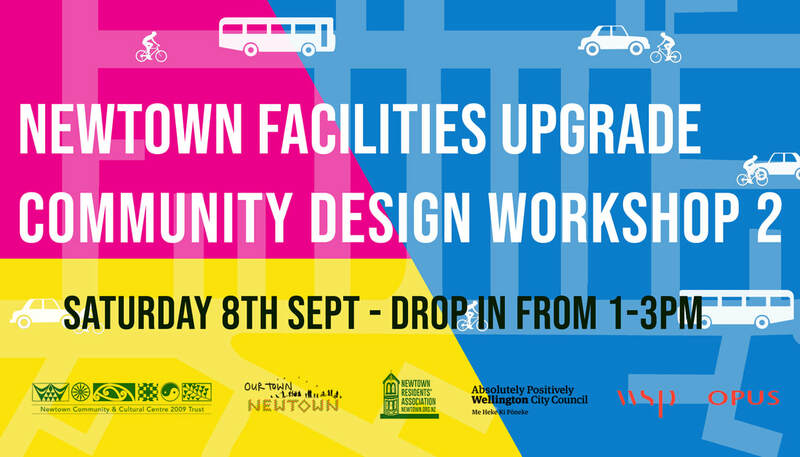 Come and share your feedback on the initial concept designs for the three buildings (Newtown Community Centre, Network Newtown & Newtown Hall). In response to your feedback at Workshop 1 (and previous Our Town Newtown data), the architects have made some concept design models that you can interact with and help to develop. We'd love to hear your thoughts! This is one of the last chances you'll have to let us know your thoughts on this upgrade process, so don't miss the opportunity! We had the first workshop of three with our newly appointed architects, WSP OPUS on Saturday 28th July - it went super well! Thanks to everyone who came along and gave us your awesome ideas on what we should spend the sweet sweet cash on. Where: Newtown Community & Cultural Centre, corner Rintoul & Colombo Streets, Newtown. From 12-12.30pm there will be a free curry lunch (yum!) accompanied by live music. 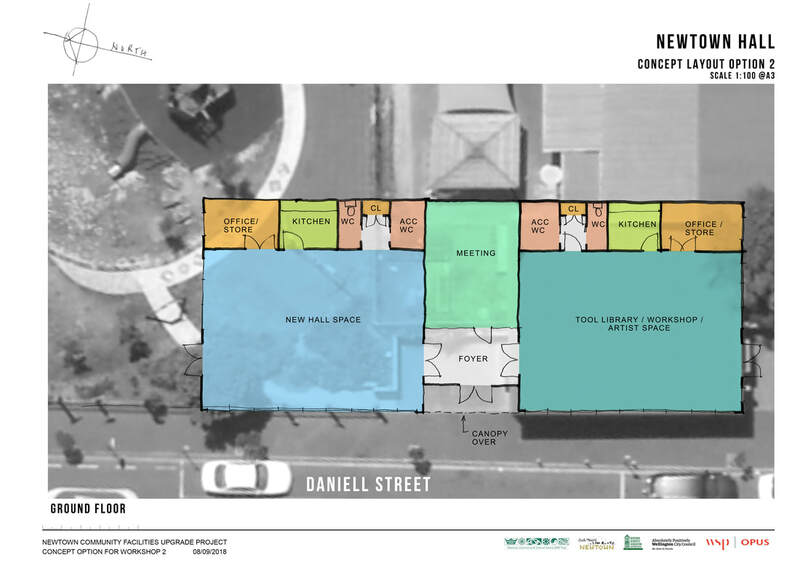 From 12.30-3pm we’ll have some displays set up and we invite you to give us your awesome ideas specifically relating to the upgrades you’d like to see to the three buildings, Newtown Community Centre, Network Newtown & Newtown Hall on Daniell Street. You are welcome to drop in and fill in a couple of quick post it notes, or stick around for a cup of tea and a treat, chat to the architects and get a tour of the Community Centre. This is a family friendly event, there will be face painting and lego for the kids. We’ll post any updates to the event on our Facebook event page. If you can't make it to the workshop, we would still love to hear your thoughts in this quick SURVEY. 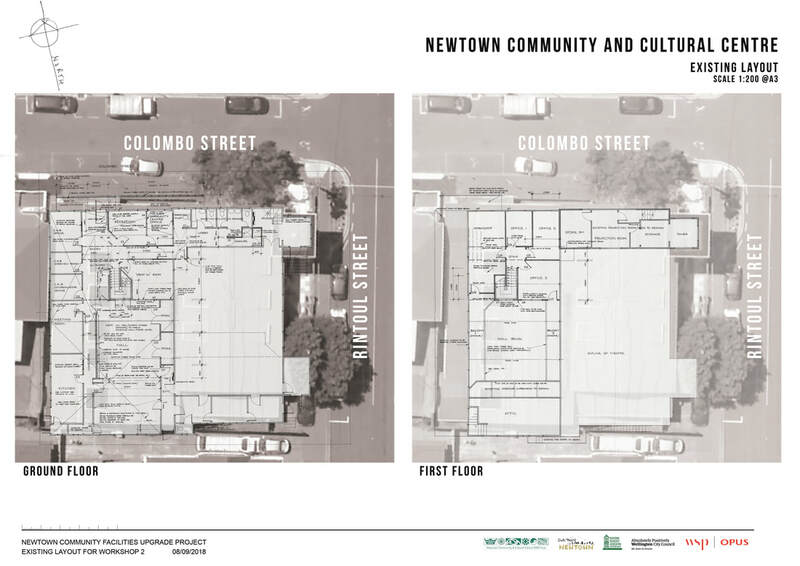 Members of the community can also provide feedback between workshops on the project boards at Newtown Community & Cultural Centre and Kia Ora Newtown (we will let you know when these are ready). Keep up to date: Look out for updates on this page, on our FB page, WCC FB and Newtown Residents Association’s Newsletters. Cushla lives in South Wellington and has two young children who attend an early education centre in Newtown. Her previous work includes : $13M Redevelopment of Heretaunga College in Upper Hutt; $4M Performing Arts Auditorium for Sacred Heart College in Lower Hutt and the Master Planning for Wellington East Girls’ College currently under construction. 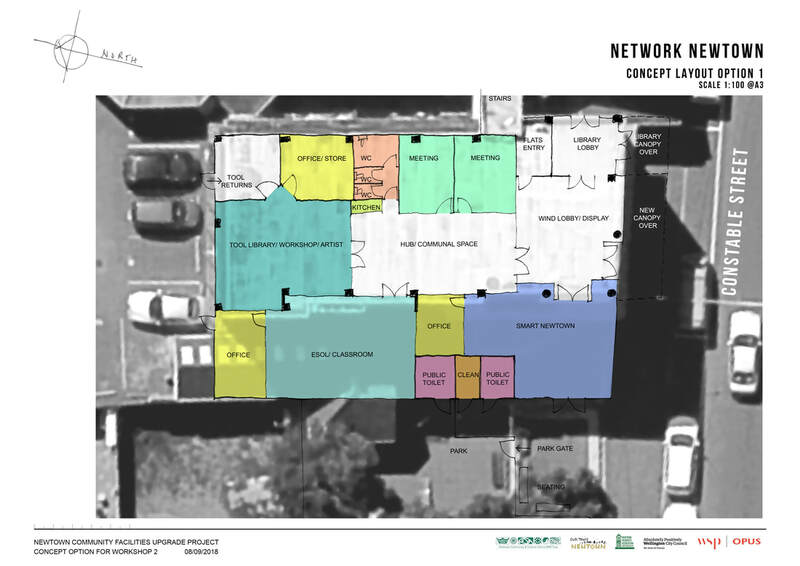 Cushla will be the Project Architect and main point of contact for the Newtown Community Facilities project. She will lead the design team and community consultation work and is very excited about playing a role in the upgrade of these important facilities for Newtown Community. Bruce has 25 years’ experience as a Principal Architect is our National Technical Director - Architecture. He is based in Wellington and for many years was also the manager of our Wellington Architecture Studio. He has significant project experience that is diverse and technically complex. His projects include significant redevelopment projects Wellington East Girls College, Heretaunga and Porirua Colleges, and the multi-award winning Carterton Events Centre. Bruce is also passionate about innovation and sustainability and is always looking for opportunities to incorporate appropriate sustainability into the projects he is involved with. Carinnya is an Architectural Graduate with a passion for the sustainable development of communities and has recently represented New Zealand at the Young Pacific Leaders Conference in Hawaii, and has presented at the COP21 UNESCO Conference in Paris. Most recently Carinnya has been working on the Pasifika Malae project with Victoria University undertaking community and cultural group consultation as part of the masterplanning and concept design phase of the project to provide a culturally focused facility for the University and wider community. Her consultation experience includes, working with a community in the Naval Base suburb of Baguio, Philippines known for its slum housing and lack of adequate amenities. The group formed a social enterprise, and Carinnya the participatory design workshops to develop an upgrade of the local school. Carinnya is looking forward to bringing her skills in understanding community needs and working with people from different cultural backgrounds to the Newtown Project. Phil is an experienced Principal Architect in our Wellington Architecture Studio with strengths in relationship management and leadership of project teams. His extensive experience includes Wellington community based projects whilst in his role as Principal Architect for Wellington City Council. His work on projects such as the improvements to the Aro Valley Centre, Creation of Churton Park Centre, Instigating the Rintoul Street Community House, and Thistle Hall. 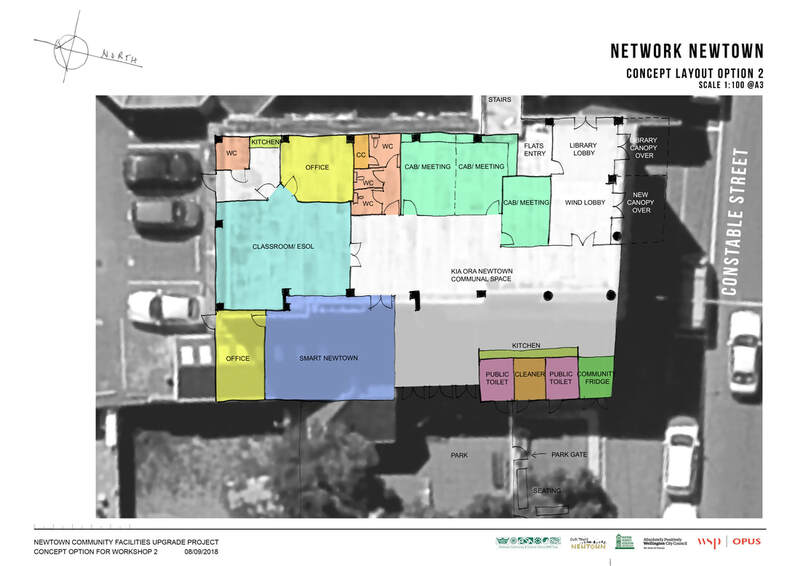 This experience means he has an in depth understanding of Council objectives and requirements in relation to redevelopment projects within the Wellington community. 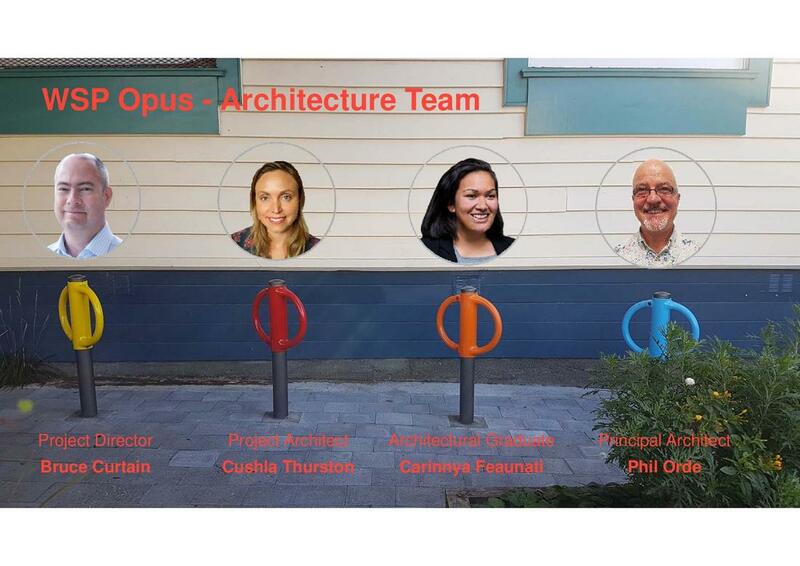 To learn more about WSP Opus check out their website here! This short video summarises the the project to date. Check it out! This report summarises the findings of the community outreach that has been undertaken in Newtown to find out what people want in a Community facility upgrade.